The purpose of this work was to investigate differences which may exist in the crack resistance of the microstructural bone tissues, i.e., osteonal, interstitial and trabecular bone. Indentations, using varying loads were used to initiate cracks of the same size scale as those which exist habitually in bone. The crack lengths and corresponding toughness values are presented for each of the tissues. Specimens were prepared using standard nanoindentation preparation techniques. Young’s modulus and hardness were measured using a Berkovich tip, while cracks were produced using a cube-corner tip. Crack lengths were subsequently measured using scanning electron microscopy. Cracks produced at the same loads were significantly longer in trabecular bone than in interstitial and osteonal cortical bone. Similarly, within individual subjects, cracks produced in interstitial bone were longer than those produced in osteonal bone. These results provide significant experimental evidence that bone microstructural tissues exhibit differing resistance to crack growth and may help explain the incidence of more microcracks in interstitial than osteonal bone. 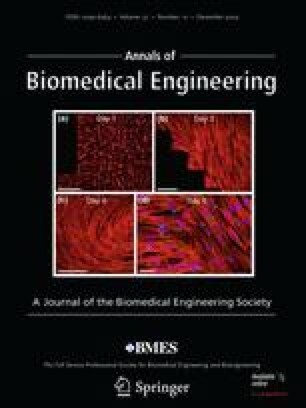 The ability of the technique to distinguish differences between individual bone tissues is promising in an area where the focus has switched to the microscale, and in particular, to measures bone quality. The authors wish to acknowledge funding from the Programme for Research in Third Level Institutions (PRTLI), administered by the Higher Education Authority (HEA), Ireland. The vertebrae used in this study were provided by Trinity College Dublin and Royal College of Surgeons under the “Bone for Life” project in partnership with National University of Ireland, Galway.